For those who attended Summit 16 to get a first look at Microsoft Dynamics 365, you heard Constellation Research Founder and Principal Analyst R. “Ray” Wang deliver a drop the mic (literally) keynote on not just the impact of digital transformation – but the importance of taking action today. “Digital Darwinism is unkind to those who wait,” warns Wang. Yet according to the new Aligning the Organization for Its Digital Focus report from MIT Sloan Management Review and Deloitte University Press, nearly half (44%) of the more than 3,700 business executives, managers and analysts globe surveyed currently believe their organization is adequately preparing for digital disruption. Of those that have started down the path, 32% of the 3,700+ say they fall into the early stages of digital development; the majority (42%) rank themselves in the middle; while 26% claim they are among the furthest along. Build a culture of digital. “We spend a lot of time talking about technology and business models—but how do we humanize digital? Part of it is building a digital DNA and a culture of digital inside organizations. Move from gut-driven decisions to data-driven decisions. “You can’t function without data – data is the heart of digital businesses. And it’s about tapping into insights and taking advantage of these insights that help you differentiate,” notes Wang. Want to read more of this interview? 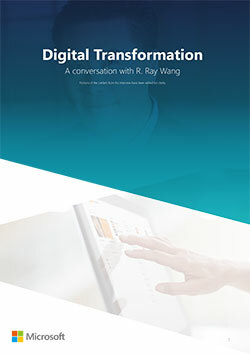 In it, Ray covers top trends that are impacting digital transformation, the technologies needed to be successful, who should lead digital transformation initiatives, the impact on sales, customer service, IT, finance, marketing and much more. Click here to access the entire interview. 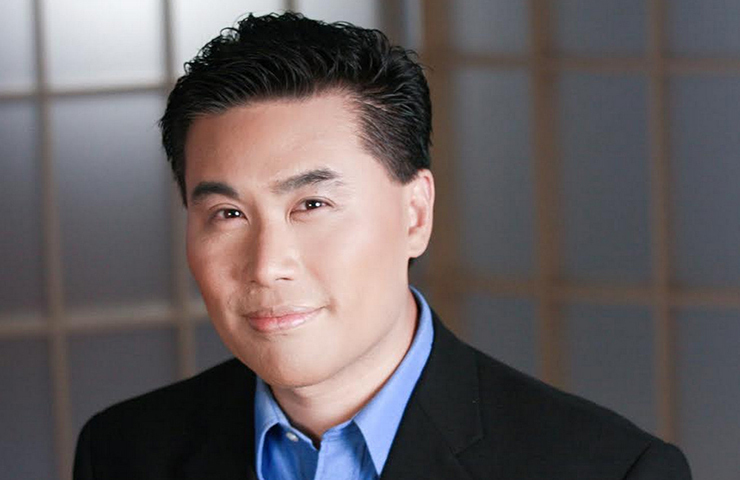 R "Ray" Wang is the Principal Analyst, Founder, and Chairman of Silicon Valley based Constellation Research, Inc. He's also the author of the new best-selling book Disrupting Digital Business, published by Harvard Business Review Press, as well as the business strategy and technology blog "A Software Insider’s Point of View" which provides insight into how disruptive technologies and new business models such as digital transformation impact brands, enterprises, and organizations. His Silicon Valley research firm, Constellation Research, Inc., advises Global 2000 companies on the future, business strategy, and disruptive technology adoption. Should Customer Service Agents Know All the Answers?